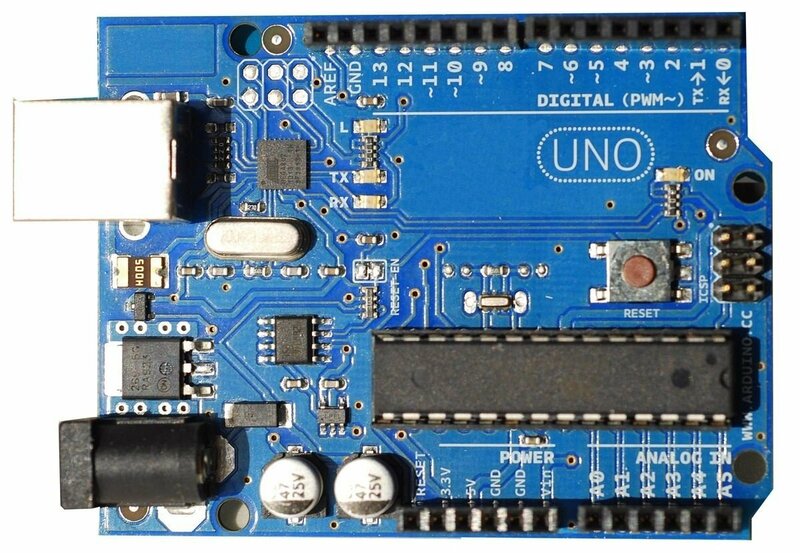 The Arduino UNO is the most famous of all of the Arduino boards.The Arduino UNO has 6 analog inputs and 14 digital I/O where 6 of them are PWM outputs. It uses a ATmega328 processor with 32kB flash memory. The clock speed of the Arduino UNO is 16Mhz and its size is 68.6mm x 53.3mm. One of the big positives with the Arduino Uno is that there are masses of shields that simply plug into the board and expand its functionality, this avoids a lot of wiring and soldering. There are a couple of variants, one uses the through hole version of the microcontroller and others use a surface mount version which uses less space on the board. The Arduino Nano is a more compact and breadboard-friendly version board , there are 2 versions of the board one uses an ATmega168 and the other is based on the same ATmega328P as the Uno .The Arduino Nano uses the mini usb but there is no power plug for an external power source that built on Arduino UNO. The size of the Arduino Nano is 43mm x 18mm, it has 6 PWM I/O from a total of 14 digitals I/O that are available, there are 8 analog inputs, 16Mhz clock speed and 32kB of flash memory. Its useful to see the numbers side by side so lets take a look and see how the boards stack up.. Both of the boards are compatible by default in the Arduino IDE, if you have an Arduino Uno and wanted to reprogram for an Arduino Nano you simply switch the board by changing the target CPU / Board in the Arduino IDE >> Tools >> Board menu and then recompile. Your code will work on both boards. 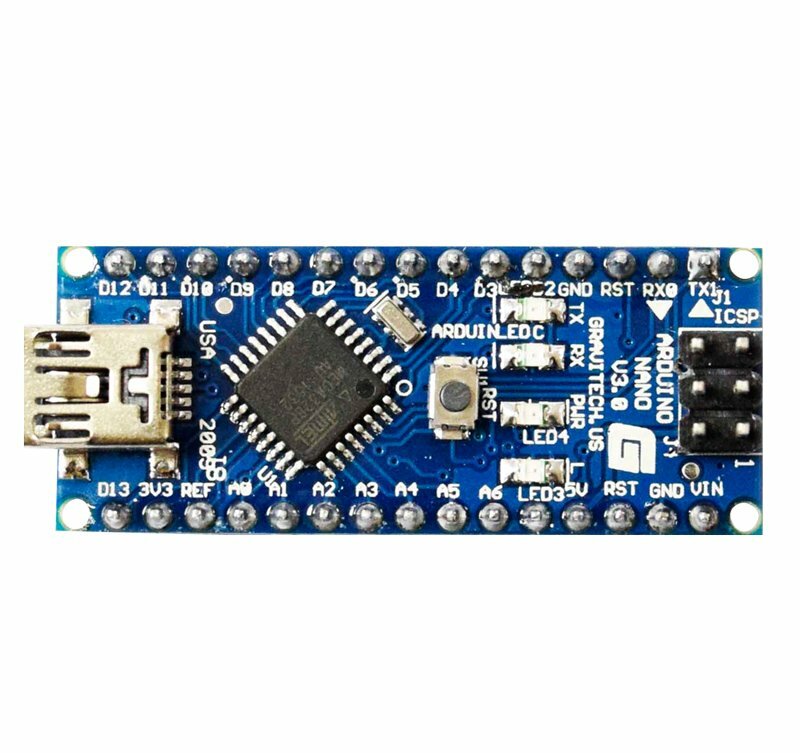 Am Arduino Nano is almost an identical price when I checked – Arduino Nano V3. So from a pricing point of view there is minimal to zero difference. OK, the key question is which one to use. For most people the Arduino Uno will be the board that you choose, this is my personal choice mainly for the fact that I can use all of the external shields that I have purchased and also the ability to power the arduino using an external wall power supply which is useful in many cases, for example several arduino shields like the Yun shield have higher power requirements and USB will not do. The Arduino Uno can also have a slightly higher input voltage range which is handy for the same reason. If you need the extra two analog ports and to shrink your projects for size then you may choose the Arduino Nano, I have not personally ever required two extra analog ports but have on occasion created a project which has size constraints.